Duplicate File Remover Pro is the most accurate app for finding equal files on a Mac. The application allows you to quickly find all the duplicate files and folders on any type of disk; moreover, it displays similar folders. 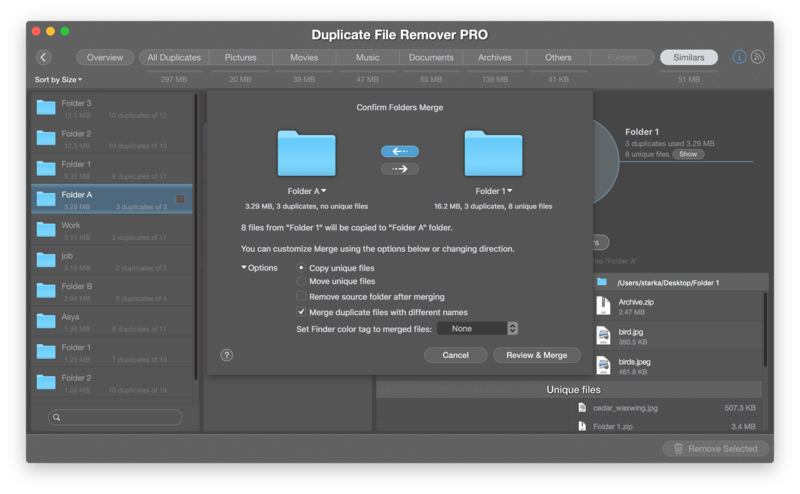 Unlike duplicate folders which contain absolutely equal content, Similar folders contain both equal and duplicate files. 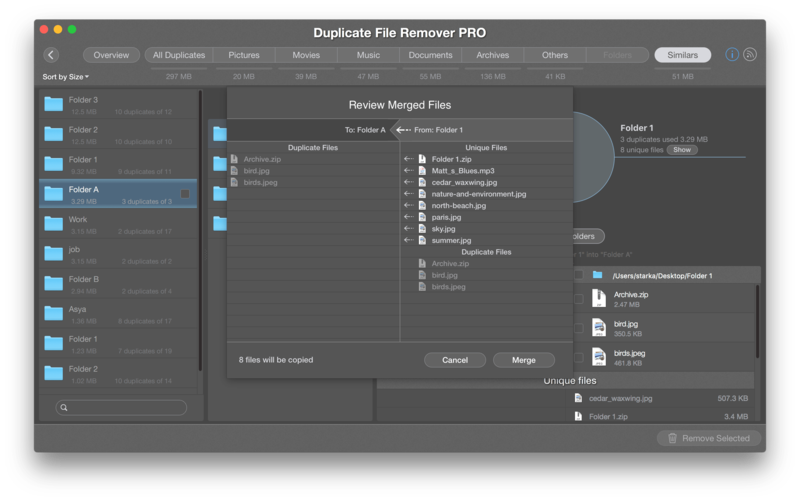 With Duplicate File Remover Pro you can review Similar folders and merge them. In this article, we will take a closer look at this feature. 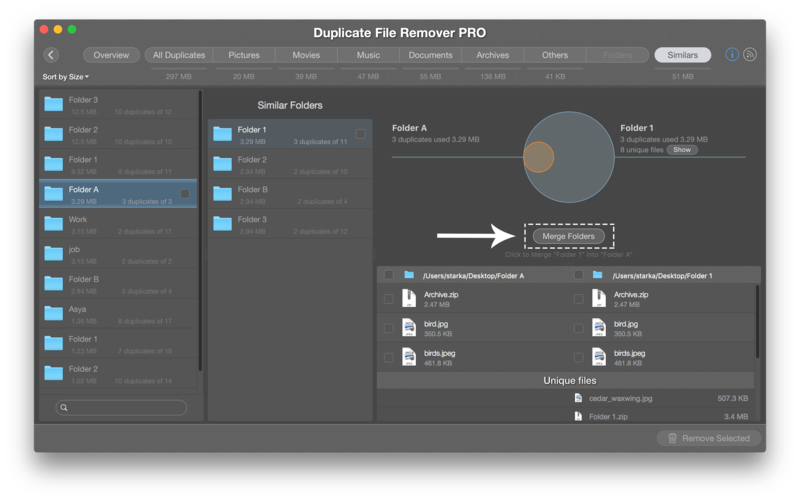 Open Duplicate File Remover Pro and scan your folders or disks.